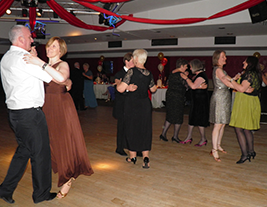 We run a range of dance classes including Waltz Quickstep Tango Slow Foxtrot Viennese Waltz Cha Cha Cha Rumba Samba Jive Paso Doble. We specialise and have the pleasure of teaching many couples that extraordinary first dance. For we want your ‘First Dance’ to be a wonderful moment and a memory to cherish. 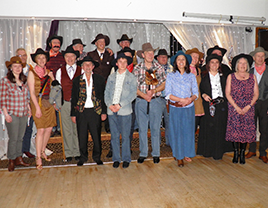 Our popular social events are held regularly throughout the year, with themed events for special occasions a fun and friendly way to keep fit and practice your moves. We specialise in classes for all levels whether it be an absolute beginner or for those of a more competitive nature. 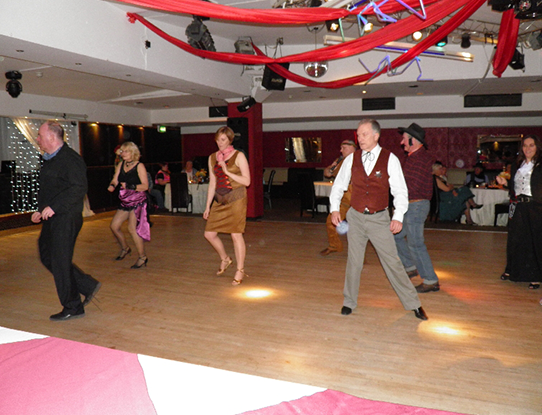 Styles include Ballroom and Latin American; Salsa and Latino; American Smooth; Line Dancing; Rock and Roll. Dance for exercise or just dance for pleasure, whatever the occasion Steppin Out with Mark is the place to be. Dance to popular music in classes with monthly socials for you to practise your steps. Encouraged by your experienced teacher, learn innovative and exciting choreography in a friendly social environment.